Domain buy : #GoDaddy "service" continues to bombard #domain owners whose BIN prices are ignored! :DomainGang Domain buy : #GoDaddy "service" continues to bombard #domain owners whose BIN prices are ignored! GoDaddy – harassing domain owners. These BIN prices are ignored, at venues such as the Uniregistry Market that make it clear to visitors about the domain’s valuation and listed price. GoDaddy offers vary between 1% to 10% of these listed prices. Is this what GoDaddy calls a “service” that it collects money for? How much does GoDaddy charge to spam domain owners on behalf of interested parties? A third party can place an offer via the GoDaddy “domain buy” service, and GoDaddy reaches out to the WHOIS email of the registrant, making unsolicited offers that ignore an existing BIN price. What type of feedback is out there by users of the GoDaddy “domain buy” service? 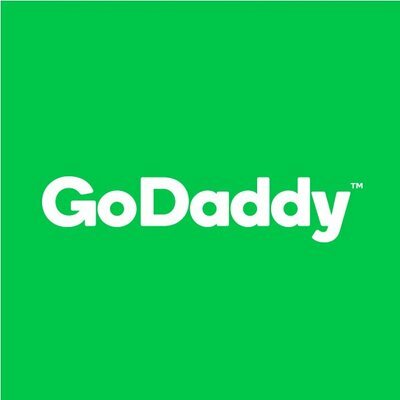 The Go Daddy domain buy service is a huge scam!!! DO NOT USE THIS SERVICE! You pay for the service and then you have to basically put your cards on the table – there is no negotiation because if they don’t get theamount they are looking for they just say the negotiation was unsuccessful, It is a huge SCAM!!! Furthermore they dont even contact you to let you know you were unsuccessful, they just close the case you dont get an opportunity to change your so called bid!!!!! Also, most of the time GoDaddy has the domain already registered so they are looking for top dollar for the domain name so if you aren’t prepared to pay big bucks they just ignore you. I read through various other forums about Godaddy’s Domain Service and most people had bad things to say about it. However, I have confidence in Godaddy’s other departments, so I thought I would give them a go. Was this a mistake? I am paying the broker, because I need a Cantonese or Mandarin speaker and the Godaddy representative stated that they couldn’t disclose any of this information to me, because the subject of the email is private. …and don’t tell me to “assume” they will send it in Chinese, because assumptions are not good enough; wars are lost on assumptions. We have the right to know this basic and highly relevant information. If I was able to communicate with the Broker, I would have liked to tell them that they could raise the maximum if the negotiation fails, but it seems a safer bet for me to use a Brokerage Service that actually acknowledges the customer’s existence. The bottom line is: GoDaddy should stop ignoring existing BIN prices for domains that its brokers place offers for.  GoDaddy should stop collecting fees for domains that it has absolutely no power negotiating over. In this context, the email address domainbuy@godaddy.com is considered spammy until GoDaddy changes its ways of doing business with thousands of domain owners that list their domain names at other marketplaces. We do not sell anyone a Domain Buy Service claim if the domain is listed for sale on our Marketplace. We direct them to the listing instead. If the domain is not listed on our marketplace we really do not have any way of knowing if the listing at another marketplace is accurate. We do not know if the domain is listed by the owner, if it is an old listing, if the price expectations have changed since the name was originally listed etc. Our brokers are really good at getting a price that works for everyone.  With the Buy Service the buyer pays all commissions as well so you can give them your number for the domain and that is what you will net. We have all types of buyers with all types of budgets so I am sure you are leaving money on the table by not engaging. Many of our buyers know and trust our brand and do not want to use another service they are not familiar with. We have a lot of end user customers who are excited to start a business or brand on a domain you own. Why not see if there is a win / win in some of those emails? You might be able to help someone’s dream name come true at a price you are interested in selling it for. Joe – With all due respect, GoDaddy is doing everyone a disservice with this approach. Domain names do resolve, have a landing page link to a form that clearly states the domain is for sale with a firm asking price. When you claim that a broker is assisting the other party, they need to research the situation and explain to your customer whom you charge for it, that there *IS* an existing price that most likely is set in stone. That’s the meaning of a BIN price. If your brokers don’t do this, and instead attempt via a cookie-cutter set of templates to confirm offer views or to increase gradually an offer that in no way reflects the true asking price (BIN) they come across as very unprofessional. Many domain investors don’t want or like the approach of seeing their assets listed left and right with a variety of venues, and choose one or maybe two for better control of the domain’s exposure. Sorry, but you need to see the issue here with an open mind, not as a GoDaddy rep.